ESO Supernova Exhibition — What is a galaxy? A galaxy is a collection of stars, gas and dust, and the mysterious dark matter. This is all held together by gravity. Galaxies are the building blocks of our Universe. Spilt milk: The word “galaxy” comes from the Greek word for milk, because of the appearance of the Milky Way as a milky band of light across the night sky. 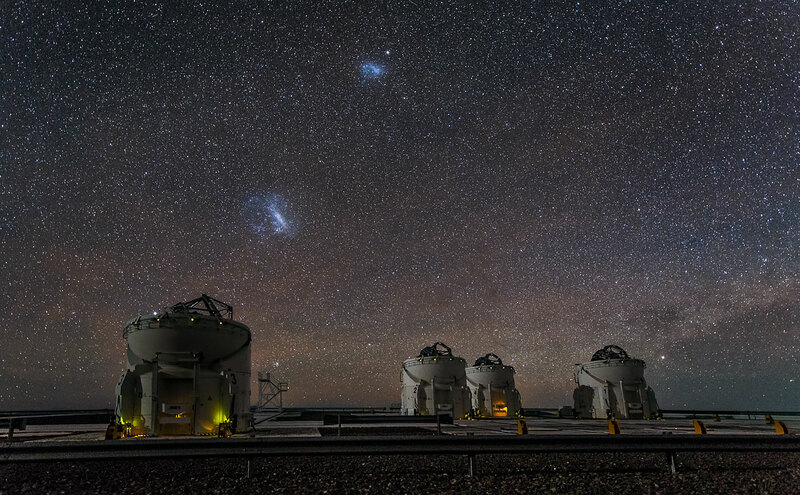 Not so small: The Magellanic Clouds are classified as irregular dwarf galaxies. Between them, they are thought to contain some 30 billion stars. The stars in the Universe are not randomly distributed. They are grouped together in galaxies. 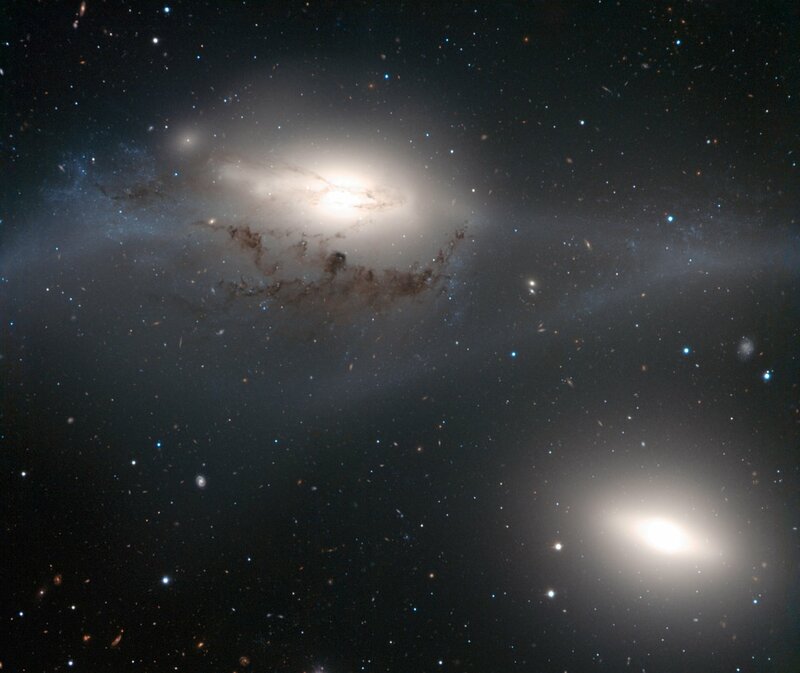 There are many different types and sizes of galaxies, ranging from “dwarf” galaxies, estimated to contain as few as 1000 stars, to giant galaxies containing several trillions of stars. Galaxies contain not just stars, but also dust, gas and dark matter. 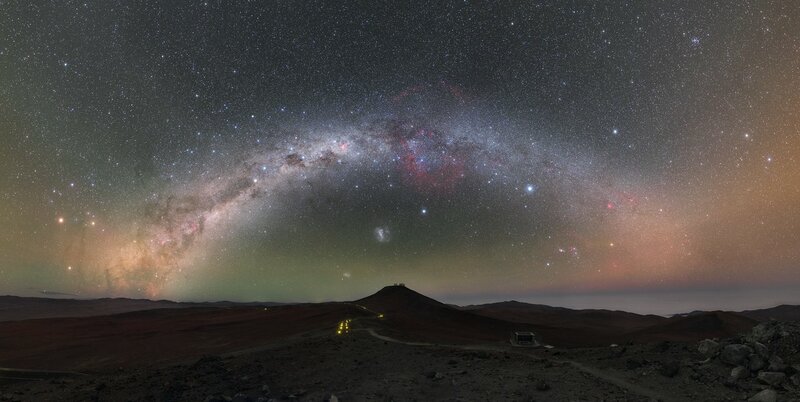 Astronomers estimate that the observable Universe consists of over 2 trillion galaxies. 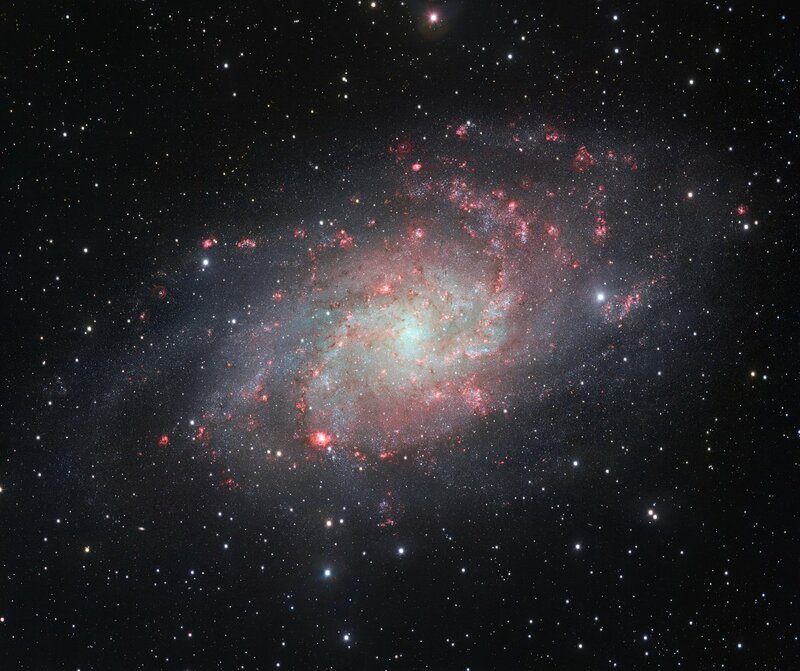 Spiral Beauty: The Triangulum Galaxy, the second closest large galaxy to our own galaxy, is packed with bright star clusters, and clouds of gas and dust. Starcount: In 1785 William Herschel carefully counted the stars in different regions of the night sky and produced this first drawing of the shape of the Milky Way. Dusty region: This region in the constellation of Orion is filled with dust and gas. Next to stars this interstellar material is the main visible component of galaxies. Are you a member of a club? There are lots of different types of clubs — sport, music, art. Some have lots of people, some not so many. Galaxies are a bit like clubs of stars. They also come in different types and sizes.